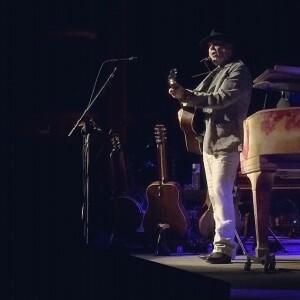 While we wait for the reviews to come in fans on social networks are saying Neil Young’s first show at the Dolby Theater in Los Angeles was emotional. Young sand “Thrasher” for the first time in 36 years. The show lasted close to three hours. 7. Are You Ready For The Country? 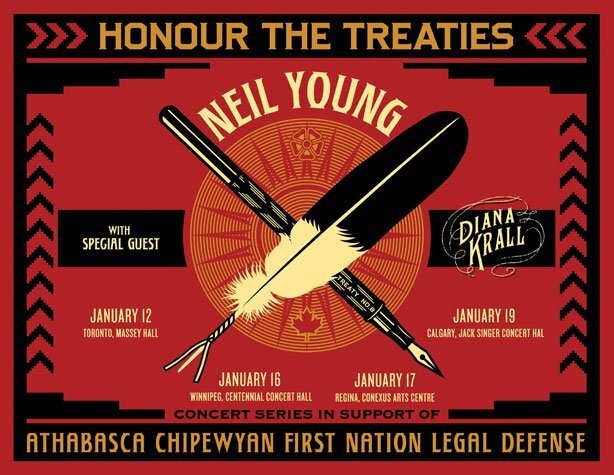 Neil Young Set List: 2014-01-19, Jack Singer Concert Hall, Calgary, Alberta, Canada. Last show in a four-show Canadian series to raise money for the Athabasca Chipewyan First Nation to fund a lawsuit against Shell Canada. 6. Are You Ready For The Country? Stephen Harper, Pocahontas and me. people at the show say it was actually Mellow My Mind.